An armed disgruntled BMW customer who taken hostages at the head office of BMW near Paris, has surrendered, reports say. The hostage situation began on Monday afternoon at the offices of BMW France in Montigny-Le-Bretonneux, police sources say. The man, who is 60, raided the offices with a hand-gun and fired two blank shots. The BMW customer has been previously arrested 3 times in the same area. 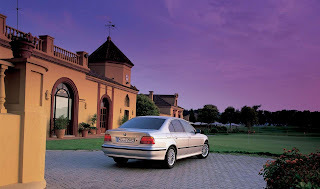 In 2002, the man bought a BMW 530d from a dealership. After paying a hefty amount for the vehicle, the car started developing problems on the freeway/dual carriageway. The kept slowing down and started emitting unusual noises, so the customer took the car back to the dealership on several occasions to have it repaired. With the problem persisting, the owner of the 530d wanted a replacement vehicle or a full refund. BMW France refused either, unleashing the owner’s fury. Full of rage, the man sets fire to himself inside a BMW showroom, later on he placed fake explosives around Paris in three BMW retailers. After these shenanigans, he threatened to kill the salesman (and his family) who he brought the car from. The man is now remanded in custody for 1 year, pending trail where he faces a €150,000 fine and upto 10 years in prison.